India’s annual gold consumption is about 800-900 tonnes, of which about 750 tonnes is imported. However, in 3-5 years, domestic refineries would meet the whole demand, reports Rajesh Bayani. 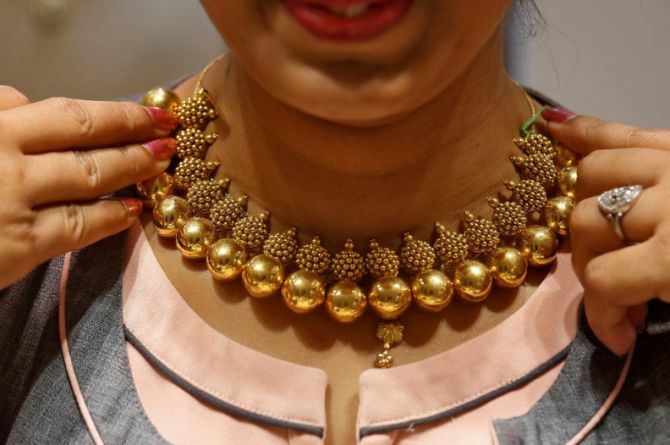 Import of refined gold might stop in three to five years, claim experts. At present, India’s annual gold consumption is about 800-900 tonnes, of which about 750 tonnes is imported. However, domestically refined gold has been becoming more and more important. “India will stop importing gold in five years,” said Rajesh Khoshla, a veteran of the Indian bullion industry and chairman emeritus of MMTC-PAMP. He added that domestic refineries will meet the entire demand. This will include gold refined from imported doré bars, recycled metal, mobilisation through monitisation, as well as mining of about 100-150 tonnes. This will replace imported refined gold. Khoshla was speaking at 6th India International Bullion summit, organised by the Indian Bullion and Jewellers Association. In 2018, India’s refined gold imports according to the World Gold Council data, was 479 tonnes. This included gold imported for re-export. Gold refined from imported doré was 275 tonnes, recycled gold was 87 tonnes, and 8.6 tonnes from mines and other sources. Experts said if golf imported for exporting was not considered, 50 per cent of domestic demand was met by gold refined in India. Most of these used imported doré. Khoshla, however, was bullish on domestically refined gold, as he expected the government to permit gold mining under its new policy. This is expected to be implemented by the end of the year. Most participants at the summit said India could produce 100-150 tonnes of gold. The gold-monetisation scheme is also expected to gain momentum over the next three to five years. Experts said only gold used for re-exports would be imported. This is because only London Bullion Market-certified gold was accepted in the international market, and India had only one such refinery. Over the next three-five years, the number of LBMA-certified refineries would also increase - three are expecting certification in two years. About 160 tonnes of gold was also used for investments and coins. Experts on Friday said rising popularity of digital gold and demand for sovereign bonds would reduce the demand for physical gold. This would lower imports. Another analyst said that importing doré might not be that easy. Consequently, reducing refined gold import would also not be easy. He said small refineries in India were passing on tax benefits to international mines, mostly in African. This has irked several big mines.